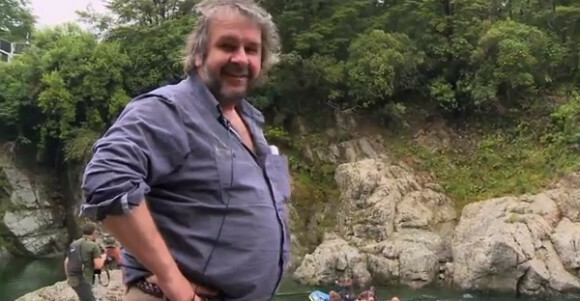 Peter Jackson has done an incredible job of keeping fans up to date on the latest work on The Hobbit trilogy with this collection of Production video blogs. The latest one came out this weekend, so I thought I'd put them all here for you to enjoy! Ones of note are videos 4, 7, and 9. Four delves into how they shot the film on 3D and 48fps, so if you're at all curious why you should see the film in either format, check out the video to get a quick primer. Seven shows the incredible sets and the workshop they have just for these movies; it really is incredible, it's practically a city in itself! And nine goes into one of my favorite aspects of filmmaking: post-production. You get to see the editing, some of the amazing motion capture work they are doing (I get to do some motion capture at my job, but this stuff is intense!) and lots more! Enjoy as you prep for the movie in December. What are you most excited about or interested in from these videos? Let me know in the comments below!